What was I photographing on this day in previous years? Five years ago it was this beautiful steam locomotive at the North Norfolk Railway (NNR). 8572 is a London & North Eastern Railway (LNER) class B12 4-6-0, built in 1928 by Beyer, Peacock & Co Ltd and withdrawn from British Railways service in 1961. It arrived at the NNR in 1967 and was finally returned to steam in 1995 after a long and difficult restoration. I’ve spent many hours photographing heritage railways in general and the North Norfolk in particular and I’m looking forward to more of the same this summer. 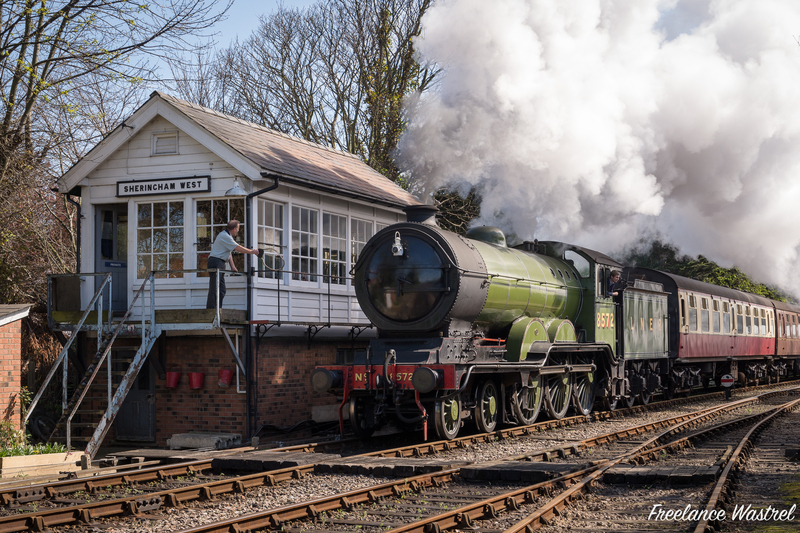 I should point out that this image was captured with the aid of a NNR lineside photographic pass.